Don’t assume you know your true draw length – use the Rob Lee test to be sure! Rob and Axsel demonstrate how to accurately determine draw length – a number that is key to bow performance but, unfortunately, is all-too-often measured incorrectly. At Bob Lee Bows, we discover fairly frequently that shooters are using an erroneous number as their draw length, which affects the draw weight (poundage) of the bow. A correct draw length measurement is also an important factor when selecting the overall length of a traditional bow to ensure you get full functionality of the limbs. And finally, a true draw length number is needed when choosing arrow specs. 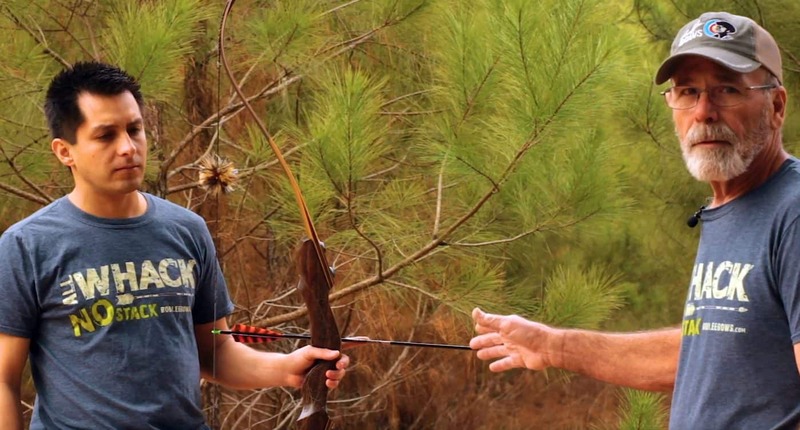 Category: Arrows, Bowhunting, Outfitting your Bob Lee Bow, Selecting a Traditional Bow, Traditional Archery, Videos | Tags: best bow performance, Bob Lee, choosing draw weight, draw length, JJ, measuring draw, nock, proper bow length, recurve, Rob Lee, take down, takedown, tradbow, wing archery.